High blood pressure is also known as hypertension. It is one of the medical conditions that are chronic. Women, men as well as children can suffer from this situation. There are some causes, symptoms and types of this condition. There are some helpful tips and treatments to get over this as well. These days many people suffer from hypertension. Hypertension happens when the arteries are elevated. This makes it difficult for the blood to flow through the body. It also causes problems in blood vessels. You can measure it as diastolic and systolic. 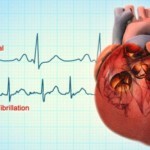 When the heart relaxes it is known as diastole and when the heart contracts it is called systole. Systolic reading is said to be normal if it is between 100 to 140 mmHg. Diastolic readings are fine if they are between 60 to 90 mmHg. If the measure is more than 140/90 mmHg, then you may have high blood pressure. There are many diseases that can lead to high blood pressure. It can be also the other way round. Thyroid, kidney and liver disease can also lead to this. Diabetic people may also fall prey to this. The mounting pressure caused in because of blocked arteries is what causes high blood pressure. The plaques of arteries become narrow. The narrower they become, worse the patient’s condition can get. Lack of blood flow to body can hamper the functioning of many organs. Aging can also increase the chances to high blood pressure. Many environmental factors and lifestyle habits can also influence this. Genetic variants are often culprits to this. Even stress on body and mind can make this happen. Increased consumption of artificial sugar and caffeine can also be the cause. Insulin resistance issues are often one of the main reasons to this. Maternal smoking or even low birth weight can raise the chances of such incidences. Deficiency of vitamin D and even obesity can be the major factor in causing high blood pressure. The metabolic syndrome can result and hypertension then becomes inevitable. Due to some endocrine conditions and sleep apnea, hypertension can affect people. Illegal drug consumption and high alcohol intake can also lead to this dilemma. Aorta contraction and hyperaldosteronism, pheochromocytoma and hyperparathyroidism are causes of secondary hypertension. People who have high blood pressure sometimes do not show any symptoms at all. It is only after screening that people discovers the health related issues with this condition. Individuals who have this problem may suffer from constant headaches. This is generally in the back section of the head. They may even face vertigo and lightheadedness. Palpitations and perspiration is common in this condition. You may even face breathing problems because of this. Some people may even get buzzing sound or hissing in their ears which is known as tinnitus. In worse condition, people may even faint or face dizziness. Blackout episodes may even happen. It can also alter vision as it can affect head and blood flow. It may also lead to anxiety and stress. Some people may even feel out of energy as the blood circulation is hampered. Physical examination and certain screening tests can define your blood circulation analysis. On detection that the hypertensive retinopathy is severed and how badly it is affected, one can come to know the status of the issue. It is the optic fundus that is generally found at the rear of the eye this is done by utilizing ophthalmoscopy. This reading can also tell you how long the individual suffered from hypertensive. Secondary hypertension can also be detected if the person shows symptoms to endocrine and kidney diseases. Moon facies and glucose intolerance can also suggest the occurrence of this condition. Renal artery stenosis can also show if the person has hypertension or not. Hypertension can cause risks for any health diseases. It can lead to cardiac arrest and stroke. It may also increase risk to myocardial infarction. It can also cause failure of this organ. It may also usher in aneurysms of these arteries. It may also make chronic kidney diseases to happen. Peripheral arterial disease may also happen. It can reduce the number of years you live as well. You can take steps to counter all these conditions. 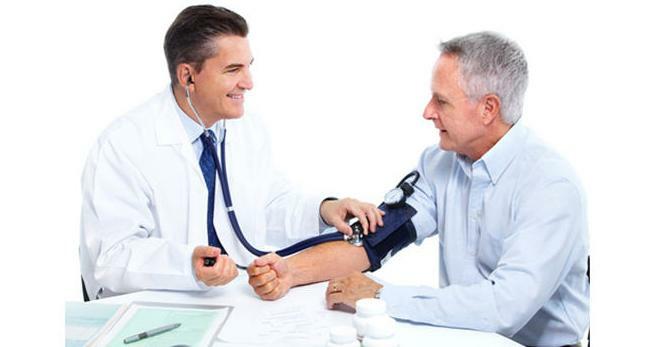 You may be other complications as well that can accompany hypertension. There are both natural and scientific treatments for this issue. You can consider some lifestyle changes to improve your health. Dietary changes and adapting to a good lifestyle will help you to overcome the symptoms ad ill effects of high blood pressure. Treatment for people having hypertension is not exactly a method to get away from this condition. As high blood pressure is chronic, patients can take up some management ways to deal with this issue and reduce the complications. Modifications of food habits and lifestyle changes may be necessary. Patients certainly cannot binge on oily food and alcohol. They should also get enough rest and sleep. Certain medications may accompany to counter the symptoms and effects of high blood pressure. You can even undergo some physical therapies and exercises to keep yourself healthy and check on your weight. You should also avoid strenuous activities that can affect your mind and body. Some relaxation techniques can also be of help. Patients can take advantage of yoga and aerobics. Preventive measures of hypertension can be also similar to the treatment plan. You may have to do certain planning to take care of your body. It is better to keep your body mass index in tune. Obesity can be a major cause to this dilemma. You should have healthy diet. Do not indulge yourself in too much of fatty food and oily eatables. You can take rest and sleep on time. Sometimes stress can rise because of ill habits and unstable sleep routine. You should have some discipline in this field. You should also keep control on your lifestyle too. Smoking a lot can also invite this issue. It may affect your body organs. You may even get yourself checked up, if you have a doubt that you may be showing symptoms of hypertension. You should also consume less salt. Too much of salty food may not spell well for your body. Vegetables and certain fruit juices can be beneficial for you. Red meat and some fat containing eatables can be hazardous. You can have some vegetables and food items that contain calcium. This will help you t keep your kidney healthy. You may even try out some supplements of minerals like sodium and potassium. These are very essential to control diseases and boost your immune system. They are also important for the well being of many organs and blood system. It is also advisable that you exercise regularly. You may even consider some bitter fruits or vegetables to counter rising sugar level in your body. Nothing is better than flexing out your muscles once in a while to maintain your weight. It will allow you to manage your body and also tone it. You should also eat healthy food. This may include salad and soup. You can add garlic in your diet. It is known to lessen the blood pressure. People who suffer from high blood pressure should surely experiment with this. You can consume coffee and tea moderately. Do not over do it. Do not get addicted to energy drinks. Before making any assumptions about hypertension, you need to research on it well. If you notice certain symptoms that can be similar to people suffering from high blood pressure, you can enquire about it. You may ask doctor to perform a body check up on you. Many people who are victims to this condition generally are eager to know how they can get rid of this issue. But this is a chronic disease. You can ask your doctor about the preventive measures besides medicines. You must ask your doctor to advise you on your diet and which exercises you should undertake. Sometimes combination of both physical and mental therapy can make you relax. This may also lessen eh severity of high blood pressure. You can even enquire about the condition of your body organs and how badly they are affected because of this problem. Always ask for proper reports and verification of tests from your doctor. High blood pressure is one of the common problems now that most of the people face. You can adhere to advises mentioned above. What is most important is to take care of your body. Keep your cool at work and personal life. Many people suffer from this condition because of stress. So it is essential to eliminate both mental and physical agents that cause this. You can still enjoy any kind of food you want to eat. But at the same time inculcating discipline in your schedule and habits will save you from high blood pressure. So maintain your body and get relieved from any possibility of hypertension.